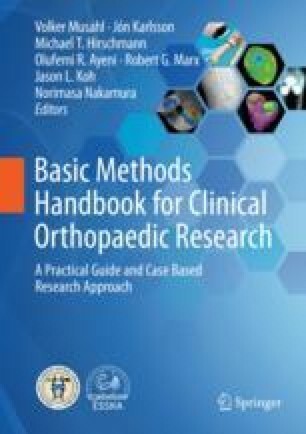 Clinical orthopedic studies can be affected by many forms of bias, including confounding. Any error promoting one outcome over another introduces bias into research. The risk of different types of bias can occur during many phases of research including study design, data collection, and publication. Confounding may affect both the exposure and outcome of a study and may or may not be measurable. For measurable confounding factors, methods of control include randomization, restriction, and matching. While most forms of bias can be minimized through methods such as selecting appropriate study designs and proper control groups, some bias cannot be mitigated. JBJS. JBJS Inc. Journals Level of Evidence [Internet]. J Bone Joint Surg. 2015. https://journals.lww.com/jbjsjournal/Pages/Journals-Level-of-Evidence.aspx.